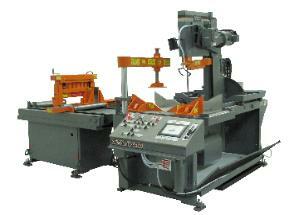 band saws, enabling you to make cuts up to 60 degrees off 90 degree cuts. Capacities range from (12.75-20″) high to (16-30″) wide. 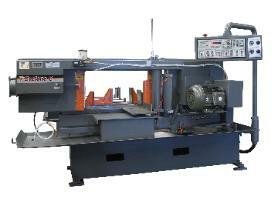 Hem Vertical Saws for cutting materials up to 45 and 60 degrees, both left and right. Capacities for these work horses range from (18-25″) wide to (20-36″) high. Hem Dual Column and Wide Flange Saws are extra rigid for cutting large solids, large diameters and bundles. Manual, Automatic and Computer Controlled models are available with capacities up to 60″ x 60″. Hem Horizontal Pivot Saws are the most popular band saws that Hem has manufactured for over 50 years for use in CNC machine shops. Ideal for cutting a variety of smaller solids.